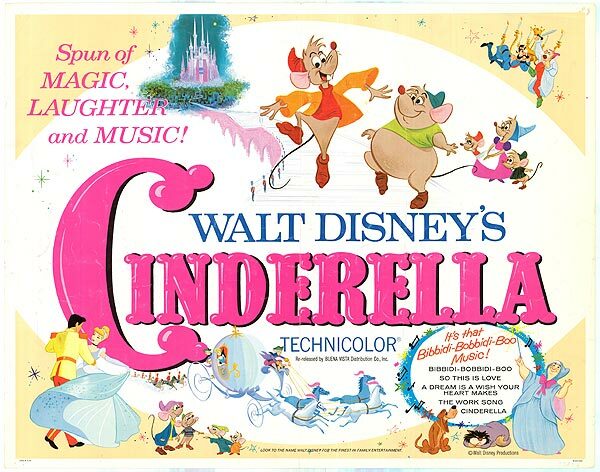 Cinderella is one of the most iconic Disney films that exist with a transformation scene rumored to be Walt Disney’s favorite of them all. It’s a wonderful princess film filled with everything that makes Disney what it is and such a classic that no matter how many great Disney films are released from now on, the image of Cinderella, her glass slipper, and Prince Charming’s castle will always be synonymous with Disney itself. Here I give you a comfy cozy Cinderella-themed meal perfect for November and the film. For my appetizer I went with a two-part snack. The first is a drink named after the film’s titular princess; Cinderella. 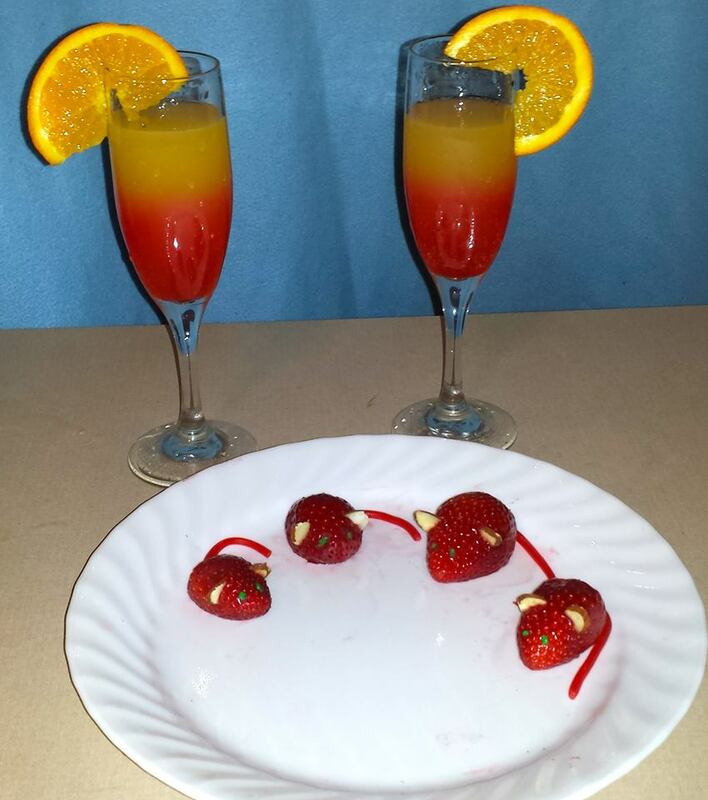 It’s fruity and delicious and is really pretty to look at too. To go with it, I wanted to make a snack honoring the super adorable mice sidekick in the film. I took strawberries for the mice bodies, used candy for the tails, almond slivers for the ears and frosting for the eyes. These came out really realistic-looking, almost too much so to eat! For an entree I went with the theme of pumpkin. Not only is it perfect for November but when Cinderella’s fairy godmother makes her a carriage to go to the ball in, she transforms it from a pumpkin. This is the specific recipe I used. You’re supposed to cook the stew in the pumpkin but due to some technical difficulties on my end it didn’t quite work out that way. Nevertheless, this stew was super delicious and hearty and perfect during cold weather. 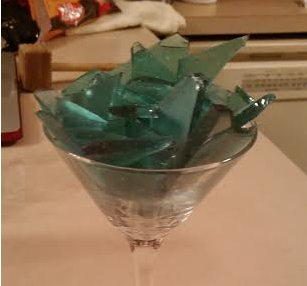 For dessert I wanted to make glass candy because of the importance of the iconic glass slippers in this film. I tried it first on the stove and failed miserably but then I found this recipe which uses the microwave and was way easier and it came out perfectly. The glass tastes just like regular candy. I would advise against letting children participate in this recipe, however; since it can be messy and also very very hot and they may burn themselves. Despite that, it’s quick and easy and comes out fantastic. Cinderella is a delightfully classic film and the meal I designed to go with it turned out great. The snacks were cute and fun, the entree was warm and cozy, and the dessert was perfectly themed. Thanks for reading the latest installment of Disney Dinner and a Movie! Next month’s installment is going to be a little different so keep an eye out for it! This is fantastic I love it. I think out of all the wonderful Dinner and Movie’s you’ve done, this is my favorite and Cinderella is my favorite Disney. That stew looks delicious and I’m going to give that a go. I love the glass candy – it looks so magical and pretty! The mice are adorable, and those fruit drinks are gorgeous! Great job on this, and what fun. I love how creative you are.